In ancient times, there existed a wide-ranging prehistoric cult and well-known mythology of Sacred Ram. “Aries is known to originate from Egyptian symbolism argues that their perception of the sign is closest to its original meaning. 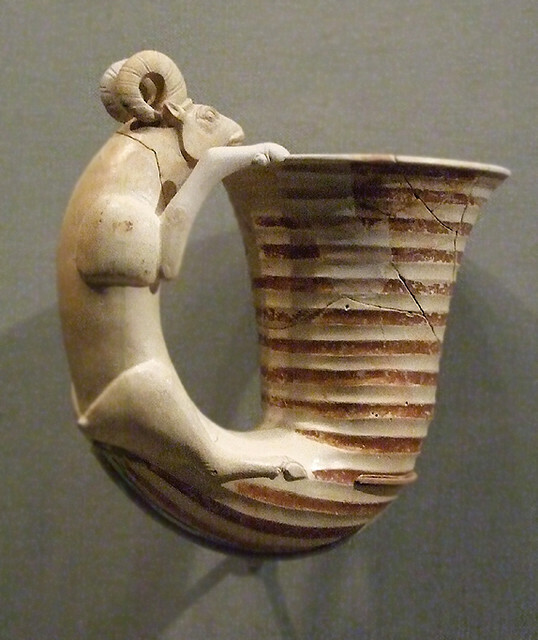 Aries was incorporated into the Mesopotamian zodiac after the conquest of Egypt by the Assyrians in 671 BC. In ancient Egypt the ram was revered as an emblem of the Sun and held inviolate except during the New Year ceremonies when lambs were offered to the Sun in sacrifice. This was a time of great spiritual significance; the re-emergence of the Sun, the resurrection of the light, the resurrection of God. the Great Temple of Amon-Ra at Karnak, built in 1480 BC. This includes an impressive avenue of ram-headed sphinxes and is oriented to the summer solstice at sunset. The temple is designed around a long passage, arranged to permit a beam of light from the Sun to reach down to a darkened sanctuary at the end. 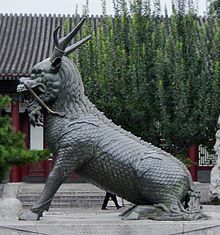 The trend of antagonism towards the bull may have been a euphemism for the complete subjugation of lunar-earth-goddess-cultic peoples by followers of solar cults, since the bull was associated with Mesopotamian lunar cult (the horns of the bull represented the crescent moon) and the sacred bull of the Hattians found on elaborate standards at Alaca Höyük alongside those of the sacred stag, represented Seri, Day, the companion of Hurri, Night, in Hurrian and Hittite mythologies. Throughout the ancient world there are numerous depictions of the Sun god wrestling with and overthrowing the bull, particularly taking central place in the Mithraic cult of the Roman empire. Zoroaster in ca 6th century BC specifically denounced the sacrifice of the bull, suggesting this was a ceremony of the ancient worshippers of Mithras and,… possibly suggesting a possible polarization of icons of the Persian vs the European world. 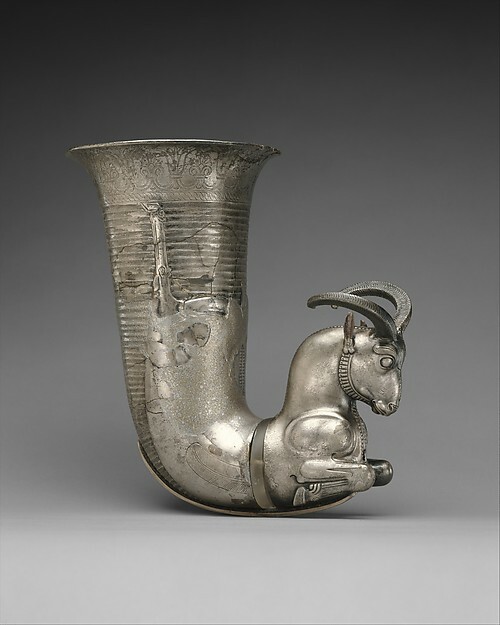 The ascendancy of the Sacred Ram may also mirror the rise of the Saka-Scythian and especially the Persian-Archaemenid kingdoms which had the well-known ram rhyton as a key feature of their cultures, although the Golden Stag and Golden Doe were the preferred iconography of the more eastern tribes, North-Iranians, and Eastern Hunnish nomads (see also Legend of the Stag). The Sacred Ram is considered a manifestation of the Sun-god and its creative power; a symbol of the resurrected Sun. 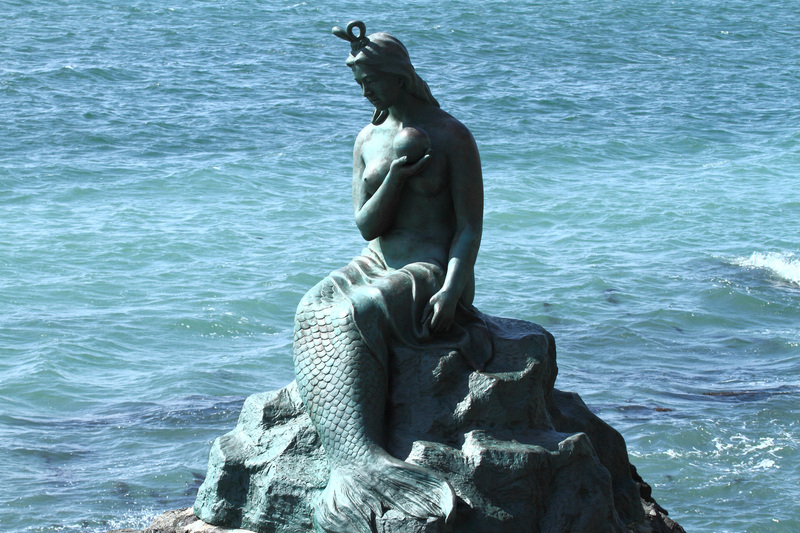 Aries heralded the end of the season of death, and was thus also a symbol of fertility, new life and creative energy. In Mesopotamia the zodiac was conceived of as a band through which the planets move. Certainly it was not conceived of as a 360 degree circle.